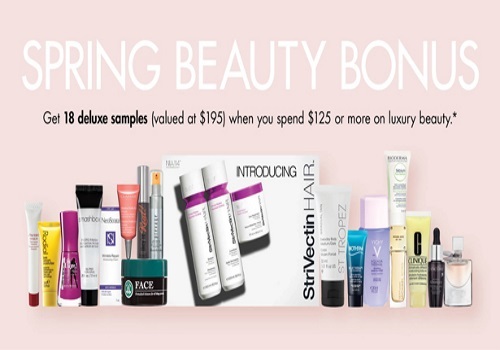 Shoppers Drug Mart's Beauty Boutique has a Free Spring Bonus Event on now! When you spend $125 or more on luxury beauty brands you can get this 18 deluxe samples (valued at $195). Sample brands include Shiseido, St.Tropez, Clinique, Lancome, Clarins, Smashbox, Elizabeth Arden and more. Offer is valid from Saturday, March 5-Friday, March 18, 2016. While quantities last, one per customer.